An Icing Printer...for YOU!!! Seriously! I am so, so excited to bring you guys this giveaway today! I've talked about images printed on frosting sheets before...and there are a couple of frosting sheets projects in the book. They are such a fun and easy way to decorate your cookies. Yes, you can get image sheets printed at most local bakery supplies. Yes, some grocery stores will print them for you, but there's something to be said for having one in your own house. Listen...I like to stay in my pj's as looooong as possible. Don't think these are just for cookies! They're for cupcakes and cakes as well! I found Icing Images when I was looking for a new icing printer. From doing a bit of searching online, I found that they had a great reputation for customer service. I bought a compatible printer and Icing Images ink and I really couldn't be happier with them. They're responsive, helpful, and fast! It retails for, oh, $499!!! Whoa! Enter through November 23rd, 11:59pmCST. US residents only....thank you! "We have a 2-year birthday coming up and I want to make it a Veggie Tales themed day. I have a couple of ideas already but this would offer so many other opportunities." 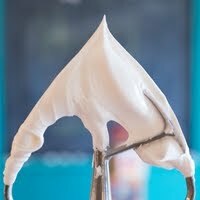 For tips and info on using an icing printer, click here. Grandchildren cookies!! What fun that would be. Either cookies or cupcakes with my daughter's face on them. She'd go nuts! Birthday cupcakes for my aunt! Embarrassing to say, but this would be great for those corporate gigs I miss out on when they don't have the budget for hand-piping. Holy Toledo! I would make the most epic cookie swap cookies ever. Maybe a 12 days of Christmas theme. A birthday cake for my daughter! Super awesome birthday cupcakes for my son with pictures of him on them. He would think that was the best thing EVER!! Oh my goodness! This is too cool! I would make cookies with pictures of my dog. I would love to win this! I'd have to try those saint cookies. My kids go to a Catholic school and they would love these. I've tried several groceries and bakers and no one will allow me to print images from the internet only my own photos. I just don't have too many of my own photos of saints so alas, it hasn't worked out. Thanks for the fantastic giveaway! Love your cookies. I would make cookies for my kids! I would make some Mario and Luigi (maybe Yoshi too since he is my fav) cookies for my nephews. I would make super awesome cookies for all of the teachers at my kid's school who never get the recognition they deserve! I would put my kids pic on the cookies and give them away as christmas cards. I'd make brownies with my blog logo on them!!!!! This is amazing! I would make cookies with my daughters artwork imprinted on them as Christmas gifts. I would make cute cookies with pictures of our 4 dogs for holiday gifts!! Cookies! Just lots and lots of cookies! Thank you for hosting this awesome giveaway, what a fun idea! I would bring Christmas cookies to work! I would put my sister's face on a cake since her birthday is in January! I would make Peacock cupcakes for my daughter who has been asking for them for 2 years! Omg, I would love... No, LOVE! ... to win this!!! I looked at one a few years back and couldn't afford it... My baby girl's 1st birthday is in 3 days, so it wouldn't be in time for her birthday... but with the holidays coming up, I'd definitely think about making cookies with our family holiday photo to give out as our Christmas "card" to local friends and family! I'd make some Christmas cookies for my mom with her Christmas china pattern on them. The 12 Days of Christmas! I have a very elaborate idea, and my piping skills aren't quite up to that skill level yet. Christmas cookies for my family with old family photos!! Cookies! Cookies and more cookies. I hate having to run to the bakery store everytime someone wants edible images. I would make cookies with pictures of Toby Keith and George Strait. 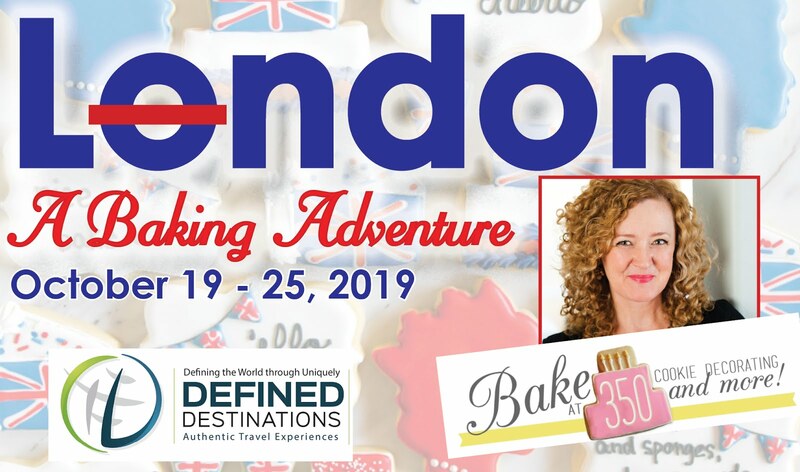 I would either make a really geeky cake (Star Wars or Star Trek or Dr. Who or ...) or I would make a series of cakes or cookies with vintage-looking recipe cards printed on them containing the recipe used for the cake. I'd make picture cookies of my brother who is turning 40 soon! Wow! Probably something with pictures of my kiddos, they would totally get a kick out of that! I would make cookies with Christmas images on them. I would make cookies with a picture of my grandson and I baking. We love to bake together and I love teaching him how!!! Baby Announcement Cookies for my best friend who is having her surprise Miracle Baby #3!!!!! this is so cool! I would make a cake!! A cake for the family Christmas gathering!!! I would make a cake for my brother with pictures of him on it! Some from when he was little and some from when he was older! His kids would love it! Wow! If I won this I would definitely make some beautiful holiday cookies. Maybe a few different coordinated color designs! I would make some edible cards :) Wouldn't that be neat?! Hmmmm.... cake...no wait, some of those cookies... ummm, no... cupcakes... errrr... What fun! 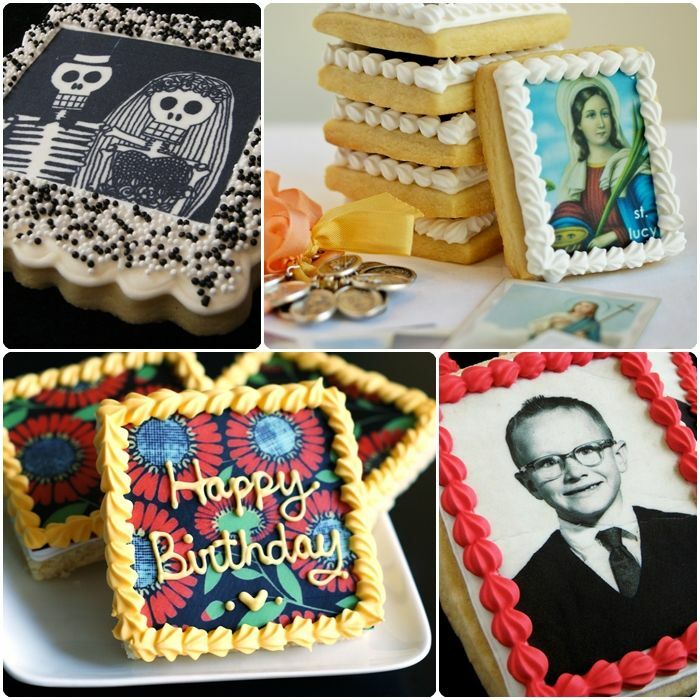 I have always loved photos on cakes but putting them on cookies is way better. I would make cookies for when our newborn girl arrives. I would take a family picture and individual shots and send them to my son in Kuwait in the Air Force so we can all be with him on Christmas! I would make cookies w/ my mom, and a teal ribbon. She was just diagnosed w/ Ovarian cancer, and we are having a HUGE fundraiser to raise awareness! I would make Christmas cookies with this for sure! I'd love to make Christmas themed cookies! There is so many things that I would want to try to have to narrow it down to one! Everything would have to be my answer, lol! This is an awesome give-away! Thanks!!! I would take images of our Daisy Girl Scouts and put them on cookies! I think the girls would get a kick out of that! 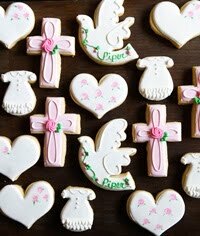 Valentine cookies with vintage postcards. The very first thing I would make is cookies with my kids faces on them for their birthdays! Thanks for the chance to Win!!!!! This is an awesome giveaway!! I think I'd make a cake first! I would use it for making our 12 days of Christmas desserts :) What an AMAZING giveaway!! Print a family photo for the whole family! Then I would put the image on a cake for Thanksgiving. What a treat that would be for our feast! My son's birthday cake! Oh, I love edible images!!!!!! my Granddaughters TEA PARTY Cupcake Toppers!!!! Well I would Start with some holiday cookies the the possibilities would be endless! Some edible image cake pops!!!! Each year at Christmas, we make a birthday cake for Jesus. We put a candle on it and have all of the children stand around the came and we sing "Happy Birthday to Jesus". If I had this awesome machine, I would be able to make a beautifully decorated cake with the baby Jesus laying in the manger. The children would absolutely LOVE IT. Especially on their birthday, if they had a cake with THEIR own picture on it. This would be one of the most fun gadgets in my kitchen! Cookies for my daughter's upcoming birthday! Awesome giveaway! Thanks for the chance to win. A birthday cake for my mom! 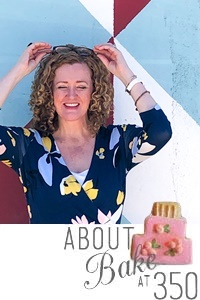 She loves it when there's an edible image on a birthday cake. I would probably find one of her baby pictures for it. I would make cookie toppers for cupcakes! I would make my logo cookies! I think a gender reveal cake or cookies with pics of my prego belly or some Cars cupcakes for my son! Would LOVE to win this!!! I would make cookies with my kids picture on them and send them to their great grandmother for her 93rd birthday. I'd make cupcakes or whole cakes with each of my kids' faces on them, they'd think that was hilarious! I would make cookies with my almost one year old daughter, Francesca's, face on them and give them out to my family and friends! 65th birthday cake for my brother, would love to do a collage on a cake!!!! I would make a birthday cake for my youngest and then Christmas treats for my church and school kids! I'd make sugar cookies with irises on them to celebrate the birth of a new baby girl due in the next week or so--she'll be named Iris. I would make Christmas "decor" print outs for cookies that I hand out for the holiday!! Make a cake with pic's on it for my grandmother! I just got married so I'd print one of our wedding photos onto Thank You cookies to send out to everyone who showed up to celebrate with us and gave us gifts! Images of all the grandchildren in our family and give them to both sets of grandparents. I would make Christmas Cookies!! We have two birthdays coming up in February. Pretty pink cake and a 14 year old boys cupcakes!!! the best looking cookies since sliced bread! I would make a 4 tiered wedding cake with edible french script or music! I'd even blog about it - What a dream machine!!! I would make cookies for my sons Boy Scout Court of Awards or my daughters American Heritage Girls Court of Awards Ceremony. I think the first thing I'd be using this to make is cookies or a cake for my Nana's birthday. This would be fantastic to have! The first thing I Would make are cookies and cupcakes for my daughter's first birthday!! The theme is snowflakes and snowmen!! Nothing more fun than actual edible pictures of cartoon snowmen on cupcakes!!! Cupcake toppers for my daughters 13th birthday party!!!!!! 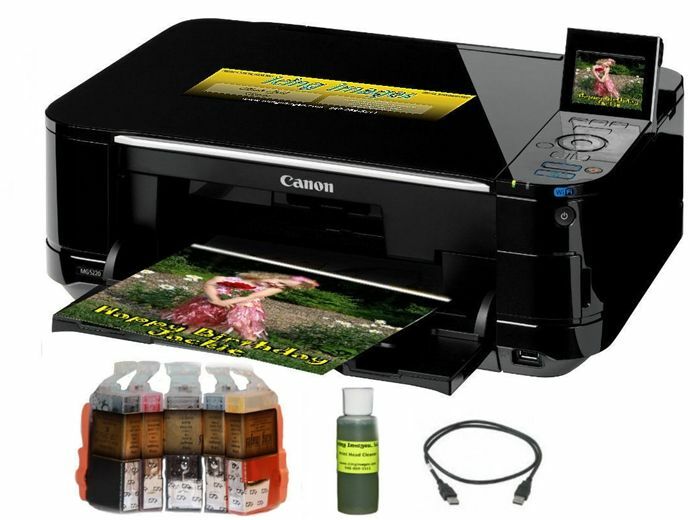 I would love love love to have this printer, it would just add so much to cookies, cakes and cupcakes! thinking of the possabilities is endless!! 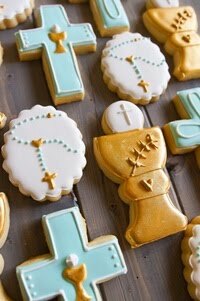 I would make the saint cookies. I have images already to print. I would make FABULOUS Christmas cookies!! My boyfriend's birthday is in January. I would use the printer to put his Saleen Mustang on cookies!! As a single mom, I couldn't buy this, not in the situation that I am in now. I make cookies because that is the only thing that I have. The peace of creating something beautiful for my boy gives me the greatest joy. 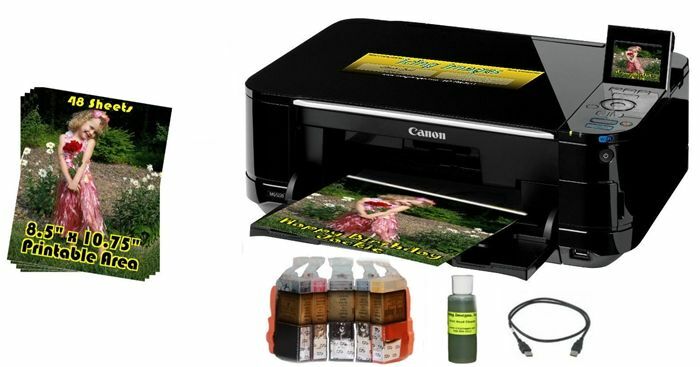 If I were to somehow win this printer, oh my God, the memories I could create for him. I do hope I win, but if not, congratulations to whoever does! The first thing I would make is a cake with a picture of all of my grand children on it for my daughters. My oldest grandson didn't get a birthday party last year because his mom was having a problemed pregnancy and was in the hospital. So, I would have to tell him it was his birthday cake. I love my family, and just want all of them to be happy! I would make a birthday cake for my daughter. my mom and mom in law's birthdays are both coming up. I would have to find some really "cute" pictures to put on their cakes! i would like to make my mom and mother in law a birthday cake both birthdays are in december, awesome giveaway!!! I think a cake for my daughter's first birthday would be so fun! i would make cut out cookies for christmas! I'd make cookies with an image of my daughter on them! I would make a birthday cake! Our family is so big there's always a birthday going on somewhere! I would make cookies for my husbands 35th birthday with a picture of his favorite car!!! I would LOVE this to make cookies & cupcakes for my son's bowling birthday party! Do you know how hard it is to find cute bowling decorations & favors???? I would so LOVE to win this! I'd probably start with cookies, then move on to a cake for my granddaughter's birthday, then cupcakes. Thanks for such a great giveaway. Family photos on gingerbread men.I really have hundreds of ideas, I'm dying to try them all!!! I would totally make a cake to celebrate my new baby! Thank you for such a generous gift offer. My Mother passed away this year and I would make cookies with various images of her to share with all of my siblings. We may not eat them, but what a treasure to have. Cupcakes for sure. Have purchased icing sheets from my cake store before bit Oh how cool this would be to have at home! A 21st birthday cake for son!!! I would make a whole "Family Tree" of cookies with photos of relatives! Princess cookies for my daughters birthday! A cake for one of my children!! A family COOKIE tree! Would be so great for Christmas! My daughter and I have been really getting into out ancestry and how cool to make a family tree to share with the family for Christmas!! Wow, I've wanted one of these for years but just don't have the extra cash for one. As far as what I would make first it would be easy, a cake with a family pic on it for Christmas so we would have my father present in a way. This is so generous of you for a give a way. Good luck all! I want to make cookies with my brother on them. He used to be incredibly obsessed with taking photos of himself. I would make Christmas cookies for my niece and nephew! Edible "postcards" to give away as cards! Cookies with pictures of my babies!!!!! Birthday cookies for my daughter! Oh my gosh!! I have been dreaming of one! Found what I thought was a compatible printer two years ago at Big Lots but when I looked up the ink, so sad, wrong model. Now my son has a nice wireless printer in his room... I love your cookies and the first thing I would make with the edible images is Santa and children for my Christmas Cookies gifts! I would do photo face on cookies. My daughter wants to give them out for school. Great giveaway. My husband is graduating college in December and I would use it to make his graduation cake! wow that is truly amazing that Icing Image would give away this wonderful tool! 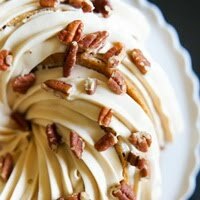 What I would do is utilize it for cake club to teach and share with all of our members on making wonderful cookies and cakes and show them another way of decorating, also I bake and donate things and this way I could personalize them for charities and that would bring them more money for thier cause! I would share the wealth! I should be so blessed as to get one! I'd make cupcakes with all of the family's old Pictures with Santa images on them! How fun would that be to pass out to the family on Christmas Eve!! Wow! This is so exciting. I would make everything with this printer. Right now I draw my images but, of course they come out as drawings and not actual prints! This would take my home business over the top! I would make my son's 7th birthday cake with this awesome printer. HIs birthday is a little less than a month away. I would be the coolest mom around the neighborhood if I had this. Make cakes for friends with memories. Pictures to represent great memories we have had together. I have a gluten free and allergy bakery and we are very limited at times....I would use it to make a cake for a child who never gets a chance to have a fun birthday cake that tastes as good as it looks!!!! Cookies for my children's classes for their holiday parties!! This is SOoooooo awesome! hmmm so hard... probably some type of super hero images for my son's 5th birthday cake!! Christmas cookies for all my friends and family! birthday cake for my son! I would make cookies for my husbands 50th birthday. It would be made with a collection of his photos through his 50 years. I'm making cookies for a friends event and the piping I'll need to do is keeping me awake at night! This would be a huge help! I would make my son's 12th birthday cake. It is a miracle he has made it to his 12th birthday as he has muscular dystrophy. It would be cool to be able to put his favorite character right on his cake. I would use it at work when I need to put that extra pop to impress dinner guests. So many ideas going through my head to single on just one! I would use it to help start a business that I have wanted to start. Grandpa's birthday cake! I could have so much fun with this. I would print out congrats cookies for myself for getting my BSN and my spouse doesn't think it's celeration worthy. I do!! I'd win the cookie exchange at my work for sure! I would make a cake with a photo of my grandkids on it for Christmas! !!!! Cookies of my new (and only out of 4) baby girl :) then cupcakes,cake and any other sweet I can stick my little sweet on!! My son's first birthday party is coming up and I'd love to do pictures on his cookies! I would make some elegant chocolate dipped oreos with a beautiful design on them or make them very personal for the client! Also add an image to a cake pop! Perhaps a company logo! Fun!!! I would LOVE to have one of these!!! OMG, I've been wanting one of these FOREVER! I don't exactly what I would make first, but it would be something for my granddaughter's first birthday next month! Wow, how amazing! I would make a cake for my family! Just because! I would make "beach" picture cookies for my Dad. Coastal cookies, lol! I have no idea what I would make first ... cookies, of course, but I would have so many ideas I wouldn't know where to begin! I am SO EXCITED ABOUT THIS. Holy heavens. The 1st thing?! I'd make EVERYTHING. Printed Marshmallows! OMG!!! What an amazing giveaway!! 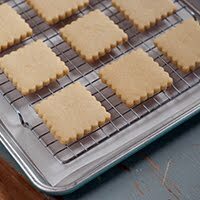 The first thing that I would make would be sugar cookies with an image of Pittsburgh, PA on them. My hometown and the best city ever :) Maybe some Steelers cookies, too!! I would make Hanukkah/Christmas cookies for my adorable 6 year old nephews! Cupcakes to reveal the gender of our first baby to friends and family! I would use this printer to help get my cookie business off the ground and running!! My twin boys age 7 would LOVE THIS so that Mom here could really get those super heroes to look like they are suppose to!! What a great giveaway! Thank~You ever so much!! Happy Thanksgiving!! A cake with the general shape of Einstein's face and a picture of him on it. hurricane sandy relief goodies to donate to the people who lost everything.. This hit home for me so it's a big deal to be able to spread some sunshine and happiness around the places that are still suffering weeks later. I would make a USMC cake for my husband. I have tried many times but the darn eagle globe and anchor are so detailed that it is very hard to make perfect. I want to do something geeky! I would print QR codes on top of cupcakes with hidden messages! I would make Christmas cookies first and then cupcakes, cakes and I would go crazy making all kinds of things. It would be awesome to win this! I would make a zebra print cake!! Cupcakes with my 2 year old, she loves to help out in the kitchen!